At InfoComm stand C746, DiGiCo announced the launch of its new DMI-AMM (Automatic Mic Mixing) card — which allows up to 48 channels of automatic mic mixing on any S-Series console. Designed in direct response to requests from the corporate market, the DMI-AMM will benefit any production where complex vocal mic setups are in use. In addition, DiGiCo also announced the new V2.2 software upgrade for S-Series consoles — which incorporates a number of features, as well as the two new DMI modules: the DMI-AMM and DMI-ME. The DMI-AMM system works by automatically managing several live microphones in unpredictable dialogue situations. When one person speaks, that microphone’s gain level fades up instantly, while the other microphone gains are reduced. When the speaker pauses, all microphone levels will adjust to medium gain to collectively match the level of one microphone at full gain. The resulting effect will be as if all speakers are sharing one microphone. The AMM does this by using the highly regarded “Shared Unity Gain” principle, which means that when several people speak at once, the gain is shared. A Weighting control allows adjustment of the relative sensitivity of the DMI-AMM on a per channel basis. When weighting controls are balanced (equal), each microphone has an equal opportunity to “take over” the system. A Noise Floor control imposes a lower limit (floor) on the level detector for all associated microphones to prevent a noisy microphone capturing a disproportionate share of gain during quieter moments. In an S-Series console, the DMI AMM offers 48 channels of processing, which can be used in any console input channel. There are two independent AMMs implemented by the DMI-AMM, known as AMM-A and AMM-B, with channels assigned to either A or B, or neither. This means that two separate events can run simultaneously on the same console without one interfering with the other. 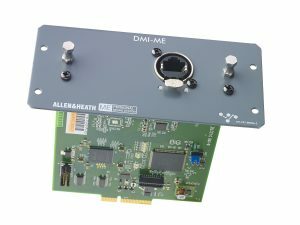 The DMI-AMM (Automatic Mic Mixing Card) allows up to 48 channels of automatic mic mixing on any S-Series console and works by automatically managing several live microphones in unpredictable dialogue situations. DiGiCo’s growing House of Worship market is steadily seeing more integration with personal monitoring. 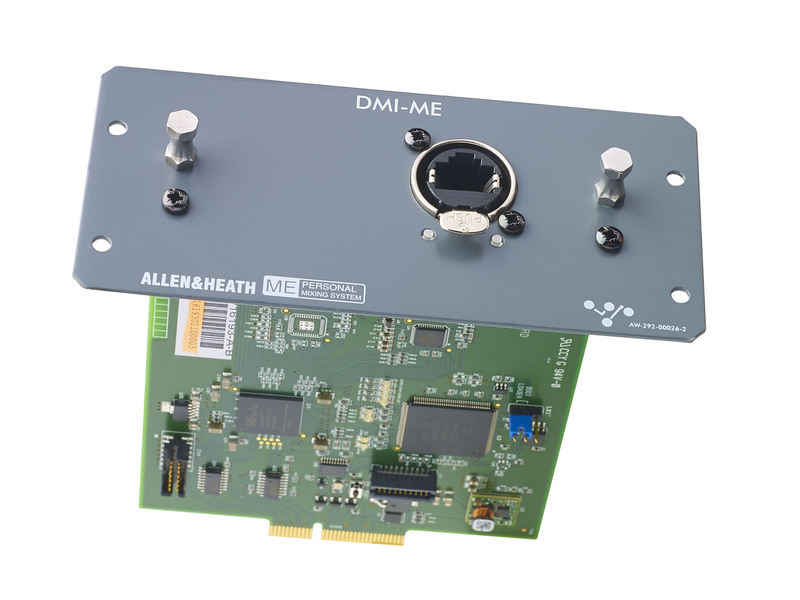 The company already offers a solution for Aviom personal mixers and is now pleased to announce an ME solution that offers a 40-output interface to Allen & Heath ME-1 or ME-500 Personal Mixers, with multiple personal Mixers able to be connected to the DMI-ME via the ME-U Hub.